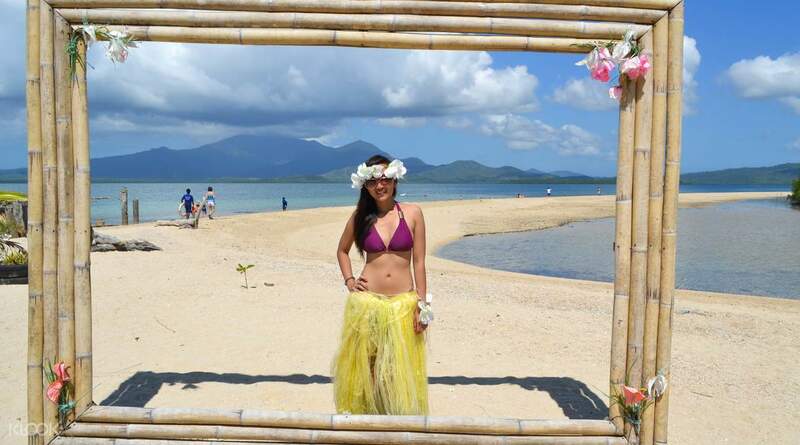 Honda Bay is the place to be when looking for some fun in the sun, sand, and sea in Palawan. 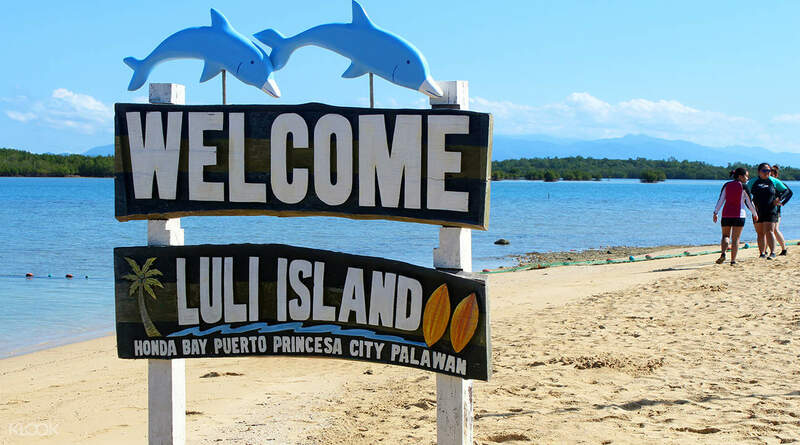 Get your day started bright and early, and head off for Luli Island. 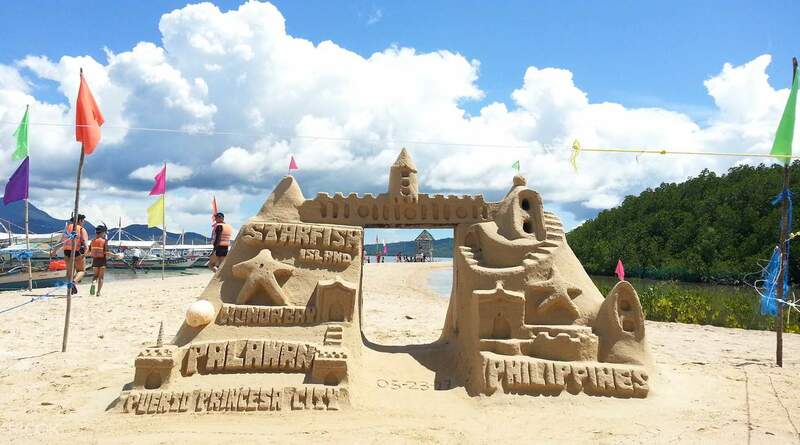 Play along the long, flag-decorated sandbar and dip your feet in the waves! 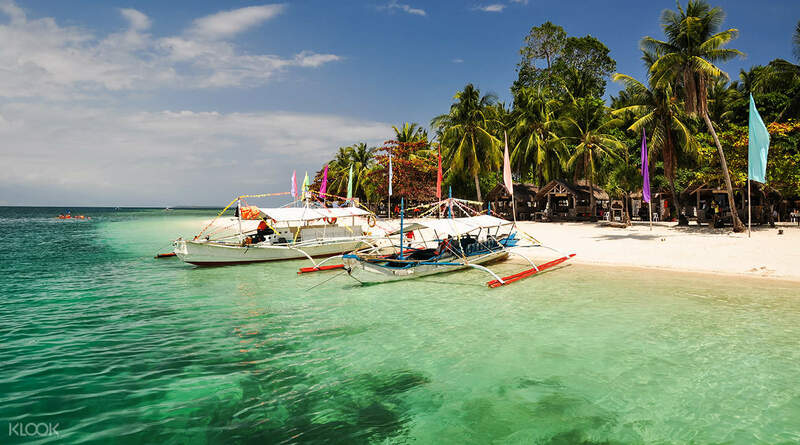 Head for Cowrie Island for a picnic lunch, some fun watersports and more, from banana boats to kayaks. But the best is saved for lunch at Starfish Island where you might get to see hundreds of starfish just beneath the waves, littering the beach in the tide. This tour will give you the chance to play in the sun all day, go snorkeling and see beautiful underwater gardens! Play watersports, discover underwater wonders, make memories and more! Hotel pickup and drop off is door to door Tour guide (Mam Liz) was extremely accommodating Food served at luli islands was good Kuya Erick, the bartender at luli island serves the best margarita Amazing view! Hotel pickup and drop off is door to door Tour guide (Mam Liz) was extremely accommodating Food served at luli islands was good Kuya Erick, the bartender at luli island serves the best margarita Amazing view! The tour was great although we aren’t able to get to starfish island because of strong sea waves. Not the tour agency’s fault. But they did sent us where we can do snorkeling. I forgot the name of the place but we enjoyed the snorkeling. We saw a lot of fishes during snorkeling and if you do not know how to swim to explore the whole snorkeling area, they have a person who goes around with a floaty where you can hold it and drag you to see and enjoy the fishes. Before we started the tour, they dropped us where we can rent snorkeling gear and swimming shoes, so you don’t have to bother bringing gears and swim shoes in your luggage. Then, we had lunch at Luli island, there was also small snorkeling area, nothing to do there but enjoy the scenery. Last stop was Cowrie island, where we did swimming and jet-ski for additional cost. The tour guide was very friendly and over all I am satisfied with the tour. The tour was great although we aren’t able to get to starfish island because of strong sea waves. Not the tour agency’s fault. But they did sent us where we can do snorkeling. I forgot the name of the place but we enjoyed the snorkeling. We saw a lot of fishes during snorkeling and if you do not know how to swim to explore the whole snorkeling area, they have a person who goes around with a floaty where you can hold it and drag you to see and enjoy the fishes. Before we started the tour, they dropped us where we can rent snorkeling gear and swimming shoes, so you don’t have to bother bringing gears and swim shoes in your luggage. Then, we had lunch at Luli island, there was also small snorkeling area, nothing to do there but enjoy the scenery. Last stop was Cowrie island, where we did swimming and jet-ski for additional cost. The tour guide was very friendly and over all I am satisfied with the tour. Our family enjoyed the Honda Bay Island Hopping Tour. We are picked up at the hotel on time and proceed in picking up other guests. Note that this is a group tour, therefore it is expected that everyone respects and follow timings which Im glad followed by our group. We visited (3) islands: Starfish (snorkeling, though we didn't see much fish and no startfish sightings), LuLi (decent lunch will be served here. you have ample time to take photos. The bangkeros are very talented in taking cool snaps, and lastly Cowrie (probably the best for snorkeling, we had an awesome time feeding the fishes. Ensure to buy bread on your stop over. Once you got tired on snorkeling.. Buy and enjoy fresh coconut juice). Tip: It's always nice to chitchat with your fellow travelers as this makes the whole trip more enjoyable. New experiences, new friends. Our family enjoyed the Honda Bay Island Hopping Tour. We are picked up at the hotel on time and proceed in picking up other guests. Note that this is a group tour, therefore it is expected that everyone respects and follow timings which Im glad followed by our group. We visited (3) islands: Starfish (snorkeling, though we didn't see much fish and no startfish sightings), LuLi (decent lunch will be served here. you have ample time to take photos. The bangkeros are very talented in taking cool snaps, and lastly Cowrie (probably the best for snorkeling, we had an awesome time feeding the fishes. Ensure to buy bread on your stop over. Once you got tired on snorkeling.. Buy and enjoy fresh coconut juice). Tip: It's always nice to chitchat with your fellow travelers as this makes the whole trip more enjoyable. New experiences, new friends. The entire tour was organized started with early pick-up and well-informed itinerary for the passengers.We had to rent snorkeling goggles and diving shoes for sea activities.Lifevests were provided by the boat.The islands visited were stunningly beautiful and well-preserved.We would definitely go back and explore these islands! The entire tour was organized started with early pick-up and well-informed itinerary for the passengers.We had to rent snorkeling goggles and diving shoes for sea activities.Lifevests were provided by the boat.The islands visited were stunningly beautiful and well-preserved.We would definitely go back and explore these islands! Sun came out, and we are happy to enjoy the view in starfish island. After we went to luli island the 2nd island we took good pictures and then suddenly the weather got wild! the wind blew tables and chairs but it was quick. They said it was their first time to experience that incident too. But, It did’nt stop us to hop at the last island (Cowrie island) enjoyed the island and in awhile it rained :) overall t’was good experience. Good food (lunch) at luli and we enjoyed it, appreciate the boatman for assisting the senior citizen who’s with us and hs the one who took pictures too. Sun came out, and we are happy to enjoy the view in starfish island. After we went to luli island the 2nd island we took good pictures and then suddenly the weather got wild! the wind blew tables and chairs but it was quick. They said it was their first time to experience that incident too. But, It did’nt stop us to hop at the last island (Cowrie island) enjoyed the island and in awhile it rained :) overall t’was good experience. Good food (lunch) at luli and we enjoyed it, appreciate the boatman for assisting the senior citizen who’s with us and hs the one who took pictures too. This was such a fun and activity-filled tour! Our tour guide was Andy and he was funny and chatty. I wish I remembered the name of our boatmen because they were great and one of them helped me snorkel and fed fishes since I’m not a great swimmer especially out in the ocean. The first island we went to was Starfish island and it’s great. I fed the fishes in the designated area and you can relax and drink coconut juice in the huts. Luli Island was too crowded so we didn’t stay there for too long. Cowrie Island was great and where we stayed the longest. We had buffet lunch and swam. There are other activities you can do in this island fore extra charge. Overall this was such a great tour that I recommend doing if you have a day in Puerto Princesa. This was such a fun and activity-filled tour! Our tour guide was Andy and he was funny and chatty. I wish I remembered the name of our boatmen because they were great and one of them helped me snorkel and fed fishes since I’m not a great swimmer especially out in the ocean. The first island we went to was Starfish island and it’s great. I fed the fishes in the designated area and you can relax and drink coconut juice in the huts. Luli Island was too crowded so we didn’t stay there for too long. Cowrie Island was great and where we stayed the longest. We had buffet lunch and swam. There are other activities you can do in this island fore extra charge. Overall this was such a great tour that I recommend doing if you have a day in Puerto Princesa. very good tour and tour guide. . thank you mam Raquel for accommodating and securing our things. lunch is average. dont expect too much. the island is great and the beach is beautiful. . very good tour and tour guide. . thank you mam Raquel for accommodating and securing our things. lunch is average. dont expect too much. the island is great and the beach is beautiful. . This tour was relaxing, and the tour guide was very informative and accommodating. You would need a snorkeling gear and shoes to fully enjoy the activities. This tour was relaxing, and the tour guide was very informative and accommodating. You would need a snorkeling gear and shoes to fully enjoy the activities. Our Honda Bay tour was so fun! we really enjoyed it, it's all worth it. And the buffet lunch was delicious. The tourguide is so energetic.Thank you for making our trip in PPS a memorable one. Our Honda Bay tour was so fun! we really enjoyed it, it's all worth it. And the buffet lunch was delicious. The tourguide is so energetic.Thank you for making our trip in PPS a memorable one. The tour agency affiliated with klook emailed us after few minutes booking with klook. The tour guide was really nice and Tita and Tito did enjoy their birthday trip. Thank you klook! The tour agency affiliated with klook emailed us after few minutes booking with klook. The tour guide was really nice and Tita and Tito did enjoy their birthday trip. Thank you klook!